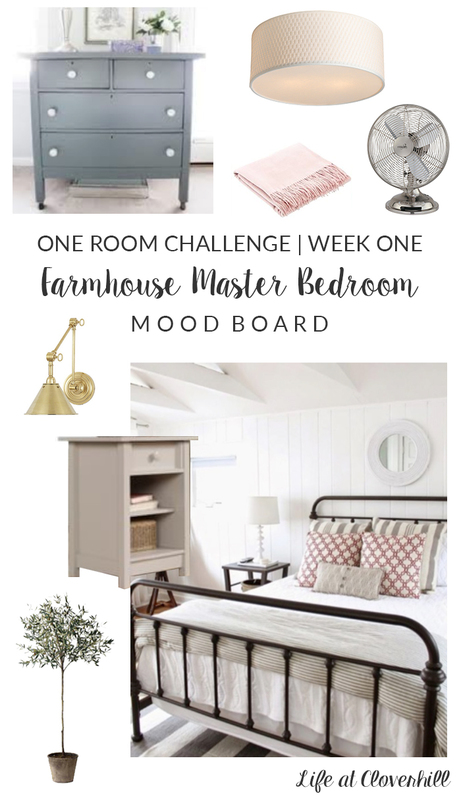 We’ve put our powder room renovations on hold for the next few weeks while we wait on a few things, which means it’s the perfect time for me to finally jump into the One Room Challenge by Calling it Home. 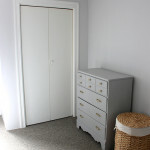 For years I’ve admired the challenge from afar, always hoping that I could get the right room with the right budget at the right time, but I never got my act together. 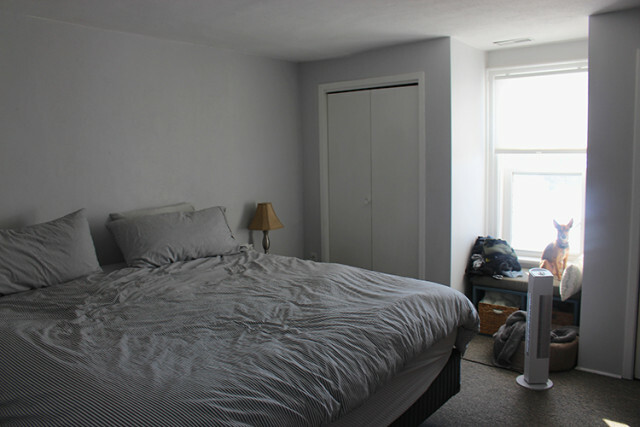 This year I decided to go for it and tackle a room that I’ve been dying to get my hands on since we moved in – the Master Bedroom! 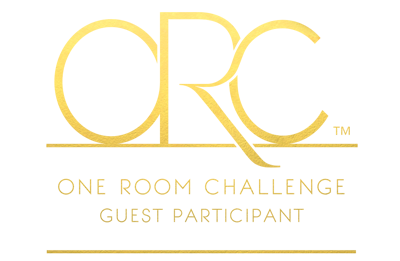 For those of you who are new to the blog and are visiting from the challenge, thanks for stopping by! 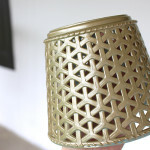 I’m Amanda and I’ve been sharing on my little ol’ blog here since 2009. It started as a creative outlet for a single gal living in the city and now I’m a happily married mama of a rambunctious baby girl, two dogs and a flock of chickens. My husband and I purchased our first home two years ago, a 1903 farmhouse in rural Ontario that we named Cloverhill. I like to write about whatever we have going on – from renovations to projects, recipes to travel, it’s a little bit of everything. When we first moved in almost two years ago, we really didn’t do anything to the master bedroom. 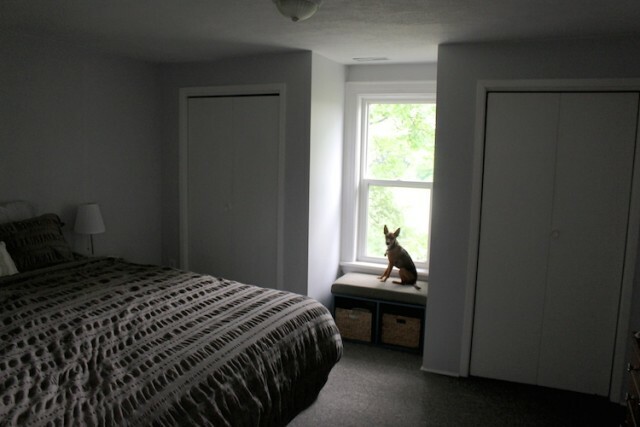 We had a dark green duvet cover, threw in the hand-me-down nightstands and dresser from our apartment and set up the DIY window seat for the dogs to look out. Aside from getting a new striped duvet cover awhile back, nothing has changed. If anything it has gotten even worse…especially when Lucy was sharing a room with us those first few months. Total chaos. Before I show you the next pictures just please remember that this is a bedroom of two very tired first-time parents. Which is also one of the very reasons why I wanted to do this challenge. We need an oasis where we can relax and get some much-needed sleep after a long day. 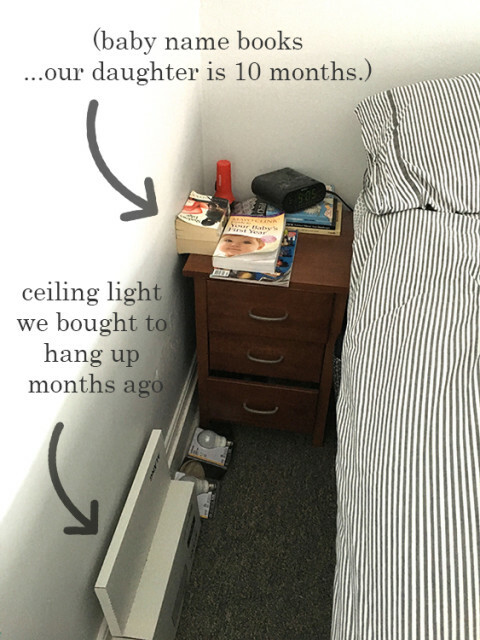 I wanted to be honest with you that our rooms are not always picture worthy. We have busy days (weeks. months. years.) just like everyone else. I’m one of those people who must make the bed every day, but sometimes that means just tossing the sheets and duvet on…but it’s still technically made, ha! 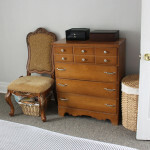 When I started to take the before pics, I couldn’t stop laughing at our ramshackle nightstands. The bottom two drawers don’t work on either one and as you can see it just became a catch all for everything. The great thing about really bad before pictures is that the afters will look that much better. At least that’s what I’m telling myself. I put together a little mood board to show you what I’m thinking of. Soft neutrals with a few different metals for a little contrast. Over the next six weeks I’ll be updating this room with some key pieces that are missing and touching up those we’re keeping. After we finished Lucy’s nursery last spring, it made me realize how much easier it is to keep a finished, organized space tidy. My hope it that we can do that in this room too and make it a room we happily put on display…instead of shutting the door whenever company stops by. Wish me luck! What a beautiful design plan! I love each thing you chose. 🙂 I can’t wait to watch the process of you room. Good luck on your redo! I love how honest you are with the before pics! My bedroom looks like that a lotta the times – no shame! Can’t wait to see the progress. I know it’ll look great in the end! Thanks Lor! It’s funny how you can live with it like that for so long and then it was like suddenly I looked over and it was just driving me nuts. I’m hoping that these next six weeks are just the right encouragement I need to turn it into a more organized and serene space. It’s funny how cluttered nightstands can get. 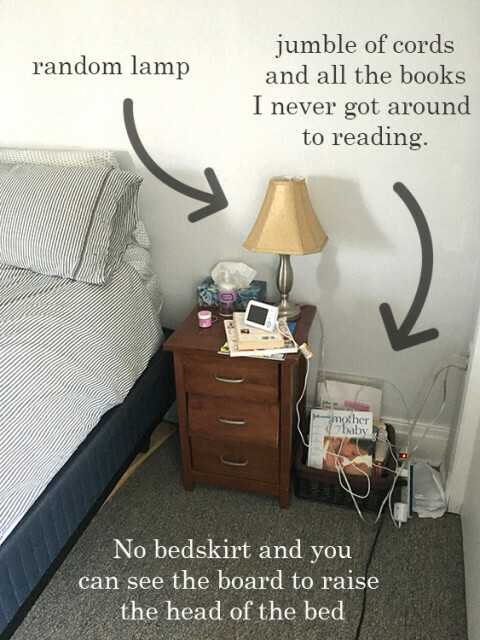 I have the same situation with piles of books and things that should be anywhere but by my bedside. Love your mood board Amanda! 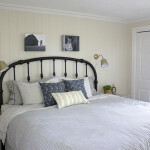 It’s going to be a calm and serene space with you’re finished with it. Thanks Jen for the encouragement 🙂 So excited to follow along with your space too! Our bedroom is the same. Since we moved in almost 4 years ago, we still have not painted it or changed the window coverings. We redid almost every single other room in the house, but ours fell off the priority list. I love your ideas, and I think they will make such a huge difference!! Thanks Nicole! I hope that getting it cleaned up and fresh will be the encouragement I need to keep it organized. I had to giggle about the light fixture left unhung for several months…we have at least one pendant light that has been sitting in our storage room for over two years waiting for the right time to install it. Love your design plan, and can’t wait to see your progression over the next several weeks!